Unlike a weak fly ball to the outfield, managing your data center is no can of corn. Today’s data center managers need to worry about maintaining uptime, driving efficiency, and boosting productivity – all while being asked to do more with less. Meanwhile, issues ranging from equipment failures to natural disasters seemingly come out of left field to wreak havoc on your data center. It’s enough to make even the most experienced data center manager break down in tears. But just like in baseball, there’s no crying in data centers. 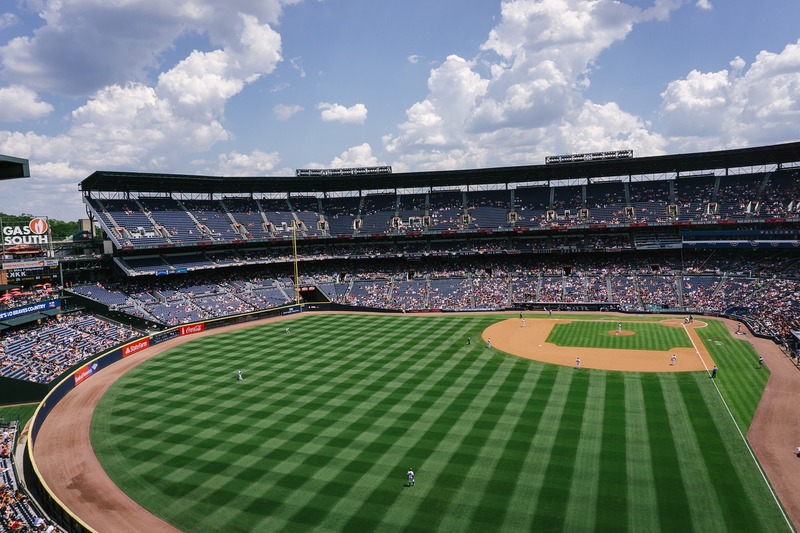 While you may not be able to watch this year’s World Series on a NOC screen, data center management has more in common with baseball than you might think. When collected and analyzed in Data Center Infrastructure Management (DCIM) software, data can help you rapidly respond to any unexpected challenges and win at data center management. Since the advent of sabermetrics in the 1980s, data and statistical analysis have played a role in baseball. Today’s baseball general managers have access to years of data for individual players. This information is added to scouting reports and other intel to help managers identify patterns in players’ performance, such as if a player doesn’t hit well against a certain pitcher (or type of pitch). Managers explore how this data can be analyzed and transformed into competitive advantage, tangible runs, and ultimately game wins. This data can also be used by the general manager to determine if the player is a good fit with the organization as well as if a player on another team could be a good candidate to trade for. Similarly, data center managers can use the data generated by devices in their facilities to make operational decisions. A capacity forecast chart with a trend line can help you determine how much power or space you’re using, and when you can expect to run out so you can plan accordingly. Historical data for your assets can also help you determine when to conduct preventative maintenance or replace your equipment. The history for requests and work orders provides a look at the work that was done at the time so you can gain perspective on the changes in your data center to understand what needs to be done in the future. A baseball team’s success hinges on how well the general manager manages the team’s resources –specifically its players. With the exponential increase in baseball data - major league games can generate close to 1TB of data - and the ability to analyze it using machine learning and other big data techniques, today’s general managers have more data at their disposal than ever before. And, along with the manager of the team, they’re using this data to analyze their teams’ weaknesses, determine the batting order and other personnel decisions, and even make changes during the games. Data and analytics can have a similar impact on your data center management practices. If you want to improve your space, power, and network capacity utilization, you can leverage data like rack units fragmentation, budgeted power capacity, stranded power capacity, and data and power port capacities to help you determine where to place assets in your data center. You could also leverage what-if analysis to understand the impact of additions and decommissions on your data center capacity by project to determine if you can delay capital expenditures or will experience a shortfall of resources. A robust DCIM solution will let you both analyze the data and then act on it in the same interface. With the massive volume and variety of baseball data available, it’s easy to get bogged down in the details and look at data that ultimately has little impact on the decisions to be made. For example, a fantasy baseball team owner working on a battling line up would focus on the most important KPIs for batters, such as batting average, home runs, runs batted in, and stolen bases versus a less-weighted metric like fielding percentage. Additionally, you would typically place higher value on the data from last season instead of data from five years ago because the more recent history would more accurately indicate current and future performance. For effective data center management, the principle is the same. First, make sure you understand your data center management problems, and then determine the most appropriate Key Performance Indicators (KPIs) based on your objectives. If your goal is to boost efficiency, for example, then you’d typically focus on power, energy, and environmental metrics like Power Usage Effectiveness (PUE), temperature with delta T, and humidity with delta H. DCIM software can help you slice and dice the datasets for each of these metrics by providing both summary and detail views of the data. You should also be able to filter and sort the data to further achieve your desired level of granularity. Today’s major league baseball teams embrace a data-driven approach, but it wasn’t always that way. For years, teams disparaged the idea of using data. Fast-forward a decade or two, and now any team that isn’t using data risks losing their competitive advantage. Ultimately, having and analyzing your data has little value if you’re not willing to act on it. Among your data center team, make sure your key players not only understand the value of data and how it can be used but also provide them with access to the data they need to make informed decisions. DCIM software can facilitate a data-driven team culture through customizable dashboards and tabular views that can be shared across the team. A comprehensive data center management solution will also allow you to export the data to CSV or PDF to easily share data with your team or use it in external reporting tools. Preconfigured dashboards that make it easy to view and interact with the data can also boost adoption through usability. Don’t get caught looking at strike three when it comes to data center management. As you’re watching the World Series this year, consider the best teams in the American and National Leagues and the data-focused strategies they used to get there. Applying similar data-driven practices with DCIM software can help you boost efficiency, better manage your resources, and ultimately help you win at data center management. Worried that having a minor-league DCIM budget will keep you from major-league success? With Sunbird, what you see is what you pay for. Check out our pricing and product bundles today.